Wireless charging lingered as a background feature for years, but it got a shot in the arm in 2018. 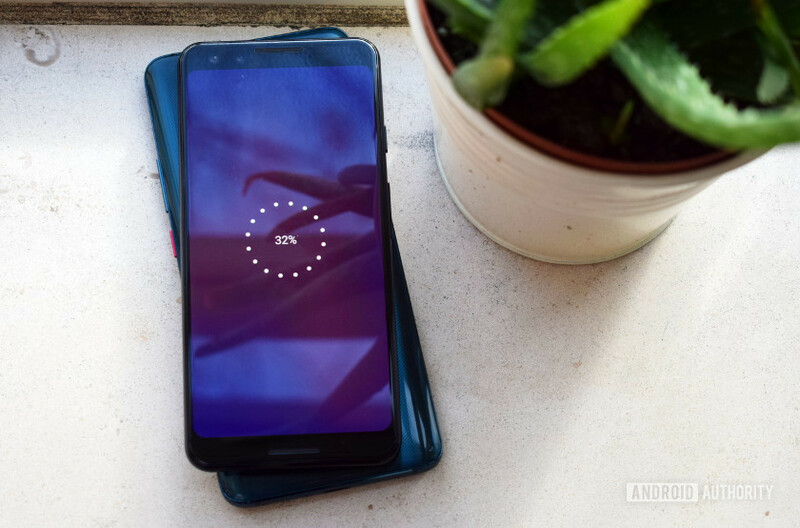 Not only do LG and Samsung phones continue to support wireless charging, but Google now includes it inside the Pixel 3 and Pixel 3 XL. Huawei even took the technology one step further, introducing reverse wireless charging with its Mate 20 Pro. The Huawei Mate 20 Pro can power up any other Qi-enabled smartphone, including the Google Pixel 3, LG V40, and the Samsung Galaxy Note 9. Using your phone as a power bank is one thing, but it feels pretty futuristic to wirelessly transfer power from one phone to another. However, does this feature work as well as intended? Unfortunately, the Huawei Mate 20 Pro doesn’t offer a quick toggle to enable reverse wireless charging. The feature also turns off rather abruptly if you don’t start use it almost instantly. This can be a bit of a pain, but it’s probably designed to prevent wasting power. To enable reverse wireless charging, you’ll need to head into the main Android settings list, into the battery menu, and find the toggle for the option located right at the bottom (see the above image). Once checked, you’ll see a pop-up (see the image below) displaying how to position the phones to begin charging. That’s all there is to it. You don’t need to pair the two devices in any other way. Just place your wireless charging compatible smartphone on top of the Mate 20 Pro and it will begin charging. The Mate 20 Pro’s sweet spot for the charging point seems to be just under the rear camera sensor. These days, fast charging is good charging. Speed seems especially important for Huawei’s new use case, which is designed more for very quick little top ups than for docking and leaving your phone for an hour. The Huawei Mate 20 Pro can wirelessly charge at up to 15W, which is pretty fast. However, we don’t have the specifications for how quickly the Mate 20 Pro can charge up other devices. The Google Pixel 3 is limited to just 10W and that’s only when using “Made by Google” certified products. Otherwise, the Pixel 3 will default to the standard 5W Qi charging mode, which will therefore likely be the best case scenario when charging from the Mate 20 Pro. To compare, we grabbed the charging specs for the Pixel 3’s wired charger and the Pixel Stand accessory and then measured the battery charge-discharge rate using the AccuBattery app to give a rough idea of the actual charging speed. The AccuBattery result gives an approximation of the amount of battery capacity that is charged up in milliamps per hour. It’s not an exact measurement, but it gives us a rough ballpark of how much faster or slower each charging technology is relative to each other. Unfortunately, there’s no better way to get an actual read on the current and voltage being sent to the battery via wireless charging. The 10W-rated Pixel Stand never charged up as quickly as the 15/18W wired USB Type-C charger. The Huawei Mate 20 Pro charged up the Pixel 3 even slower still. We were expecting a result in the 5W range, which should make it about half as fast as the Pixel Stand for a result of just under 1,000mAh with AccuBattery. To confirm these readings, I charged the LG V40 with both the Pixel Stand, which defaults back to 5W, and the Mate 20 Pro. The results clocked in at 1,078mAh and 509mAh respectively, confirming the Mate 20 Pro charges other phones at about half the speed of regular 5W wireless charging docks. We’re looking at something much closer to 2.5W when using reverse wireless charging from the Huawei Mate 20 Pro. That’s significantly slower than standard wireless charging, let alone wired charging. Although this feature sounds really neat, it probably isn’t going to be much help to phones on their last legs. Reverse wireless charging is just too slow to be useful for day-to-day charging, though it may still come in handy for those truly desperate situations when every last bit of juice helps.